Buffoonery Workshops is BASED on the teachings of Jacques Lecoq of Paris, “Le Bouffon” is a clown of sorts- an intelligent clown, perhaps, from the depths of our earth. Its pleasure is to mock and to imitate the absurdities of the human being (don’t we do strange things?!). They get sheer joy at playing their opinions (and they tend to be exaggerated in their appearances!) There is no limit to the expressions of “Le Bouffon”…..
For the actor and the non-actor, being a Bouffon frees you to your playful self where you can find an honesty that resonates into your “normal” life! Have you continued to play at work or in your personal life? Just asking! 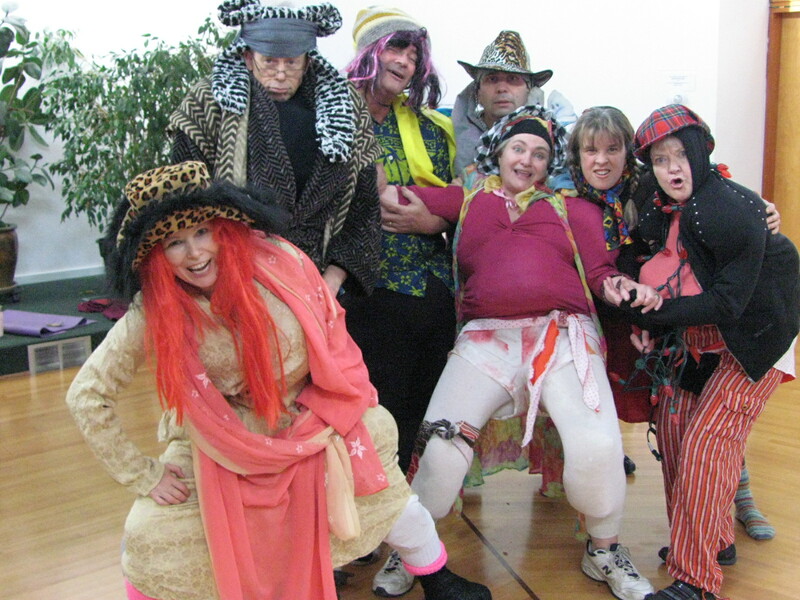 See Buffoonery Workshops for more information!